Yellow Cake brings together another ten short stories from this extraordinarily talented writer – each of them fiercely original and quietly heartbreaking. Ranging from fantasy and fairy tale to horror and stark reality, what pervades these stories is the sense of humanity. The people of Lanagan’s worlds face trials, temptations and degradations. They swoon and suffer and even kill for love. In a dangerous world, they seek the solace and strength that comes from family and belonging. These are stories to be savoured slowly and pondered deeply because they cut to the very heart of who we are. I was very excited to read this collection of short stories by Margo Lanagan. My reading coincided with the run up to National Short Story week and I had heard amazing things about the other. It was with great excitement for the stories to come that I started reading and thankfully, eventually I was not disappointed. Margo Lanagan is obviously a hugely intelligent person with a vivid imagination, this shows in the writing she has produced within the pages of Yellow Cake. These stories are all completely different from one another and if I were to guess I wouldn’t have even suggested they were all by the same author, hadn’t I known. The collection starts with The Point of Roses and, to get this out the way, I thought that was a major downfall of the book. I didn’t understand what was going on in the story and I didn’t much like it because of that. I wish another story came first because it took a great deal for me to carry on reading after that first story. Thankfully I did carry on and I was rewarded. The rest of the stories, whilst not all mind-glowingly amazing in my eyes, were really good and I absolutely loved one or two. Obviously short stories are designed to be short and they tend to throw you in and pull you out of a literary world very quickly. This can often be a little confusing and some stories tend to be a little confusing for the first couple of pages. These are no different but the magical writing and incredible imagination behind the stories hook you and you just want to keep on reading. My favourite stories in the collection had to be The Golden Shroud; a story of Rapunzel and her prince who are rescued from the witch using Rapunzel’s hair in a way I never thought possible, An Honest Day’s Work; a fantastical story which seemed to involve tiny people who are sent ‘beasts’ (Or human/robots from what I could work out) to harvest for the materials and food etc, Ferryman; a strange view of the myth of a ferryman, and Eyelids of The Dawn; the tale of a building which has enough of its position and wants to get rid of its itch. Eyelids of the Dawn was easily my favourite story and I was completely hooked into it from the very start. It was beautiful and felt like it had so much passion behind it that it seeped out into my mind when reading. It was surreal and yet worked perfectly and I loved the authors note for it at the end of the book and how it came about. Margo Lanagan obviously puts a lot of thought into her stories and is the type of authors who’s life readings and experiences really mould their work. I could see real life merged into all of these stories, even the ones that seemed really bizarre. Even though Eyelids of the Dawn was my favourite I honestly think that Heads is the one that will stay with me the longest because it resonated deeply. I imagined these boys in real life, in Afghanistan right now, while I was reading it and then when I read the authors note about it that really struck me how terrible and real it was. I think that story will really hit a lot of people strongly if they read, but it is worth a read. As I said I wasn’t overwhelmed by the first story in this collection and it almost put me off. I could see the talent in the writing but it was just that little bit illusive and wasn’t fully explained enough to understand, but that was personal opinion. Other people may love The Point of Roses so do not let that put you off trying the collection. I am really glad I didn’t stop reading the whole book and my determination to give the rest of the book a chance really paid off. 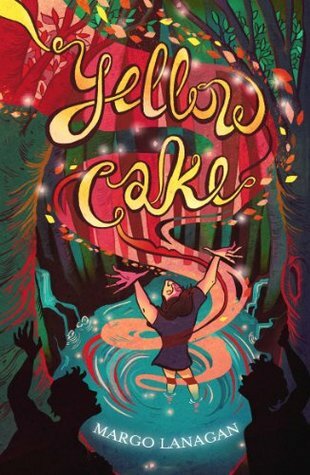 Yellow Cake was published by David Fickling Books on 6th June 2013. My copy was sent to me from the publisher in exchange for an honest review.